Marine Insurance Law, Second Edition introduces and clearly explains all topics covered in courses at Masters level, offering students and those new to the area a comprehensive and accessible overview and way into this important topic in maritime law. Beginning by introducing the general principles of the subject and structure and formation of insurance contracts, this text goes on to look at individual considerations in detail, including – the duty of utmost good faith /fair presentation of the risk, insurable interest, terms of insurance contracts, brokers, the premium, causation and marine perils, losses, sue and labour, subrogation, fraudulent claims and reinsurance. 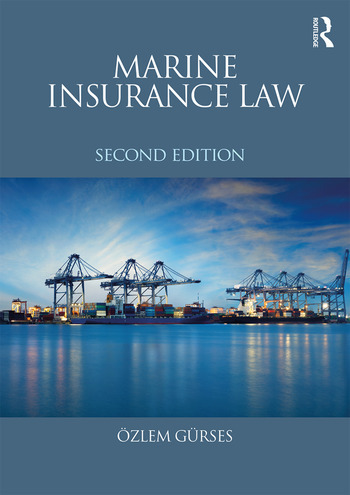 This second edition reflects the substantial changes introduced by the Insurance Act 2015, and includes new Appendices containing relevant legislation and example clauses from marine insurance contracts. Özlem Gürses is an Associate Professor in Law at Southampton Law School, University of Southampton, UK.